In 2007 the Marietta, Ga., Police Department took a close look at its calls-for-service numbers. Analyses from a study done that year indicated that the jurisdiction fit right in with the national average of service calls coming from alarms: 10 percent. Reductions in the number of responses to alarms would be likely to have a significant impact on the department, it was reasoned, because officer safety protocol required two officers to respond to each such call. 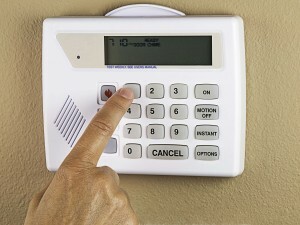 In July 2007 the city of 70,000 residents passed an ordinance that attempted to reduce the number of alarm calls. It included annual alarm registration, enhanced call verification and progressive fines beginning with the third false alarm each year. The law had positive, proactive response from citizens and local alarm companies, according to information provided by Chief Dan Flynn. The effects of the action were almost immediate: By the end of the first full year under the program, the city saw a 46 percent reduction in unnecessary police dispatches, from 722 to 416. By the end of 2010 that number was only 264, a 63 percent improvement. Even though 85 percent of security alarms installed in homes and businesses never go off in a given year, figures like Marietta’s provide motivation for addressing the ones that do. Some agencies often use third-party software or management services to reduce the time and effort required to manage their false alarm reduction programs. CryWolf software and program management services, offered by Public Safety Corporation of Maryland, are used to register, renew and update alarm system information; create notices and invoices; manage fee and fine collections; and generate program progress and financial reports. 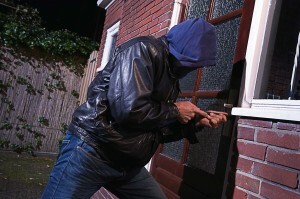 The solution has helped some agencies reduce false alarms by 40–80 percent and achieve collection rates of 80 percent. The cities of Charlotte-Mecklenburg and Concord, N.C., both reduced false alarms by more than 50 percent and realized a more-than-80-percent collections rate. Central Station Alarm Association is funded by alarm companies specifically to address the problem. Run by former police chiefs, the csaa will walk any first-response department through its program to not only reduce the number of false alarm calls but also to generate income though related fees. What usually happens is a couple of problem systems in any given area trigger most of the calls for service. csaa has identified problem systems across the country and can share that information. Two-call verification also cuts down dramatically on how often a team needs to go out on response. So has the initiative of some security companies to develop easier-to-navigate panel interfaces. Is no response an option? According to Stan Martin of the Security Industry Alarm Coalition, another concern is that while vetting by security company guards is what’s supposed to happen in no-response cities, more often than not it’s civilians who will take the situation into their own hands. A number of State Associations of Chiefs of Police chapters, through their Alarm Management Committees, have compiled best practices in alarm reduction over the last 20 years and adopted a model ordinance in a form that conforms to their state laws. Alabama, Connecticut, Florida, Georgia, Indiana, Minnesota, Mississippi, North Carolina, Oklahoma, South Carolina, Tennessee, Texas and Virginia recommend the ordinance for jurisdictions within their states. The first step in reducing alarm calls is to establish a baseline, Martin said. Then, make sure the ordinance you enact doesn’t give away too many free responses: maybe three at the most before fines kick in. The harder pill for a local city council to swallow is likely to be the fact that by far and away the worst offenders, statistically speaking, are municipal and school buildings. But before you take an ordinance to the city council meeting, check first to see if there’s not already something like it in place. Sometimes an ordinance is already on the books that will reign in alarm calls, “but nobody’s ever looked at it,” as Martin noted. siac represents national dealer trade associations, including csaa, esa and others, on the issue of alarm reduction. An affiliated website, pleaserespond.org, has relevant information in a centralized location, including different approaches cities can choose from.